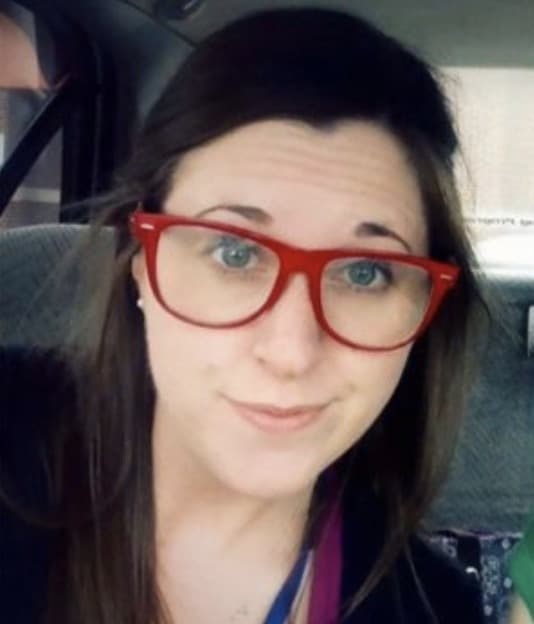 Anna Trupiano is a first-grade teacher at the Kendall Demonstration Elementary School in Washington DC. The school specializes in supporting deaf and hard-of-hearing students all the way from birth up to the eighth grade. Alongside teaching the usual school subjects, Trupiano also teaches her students how to thrive in society. But her most recent lesson resulted in her having to teach one student about a pretty personal issue… Passing gas. 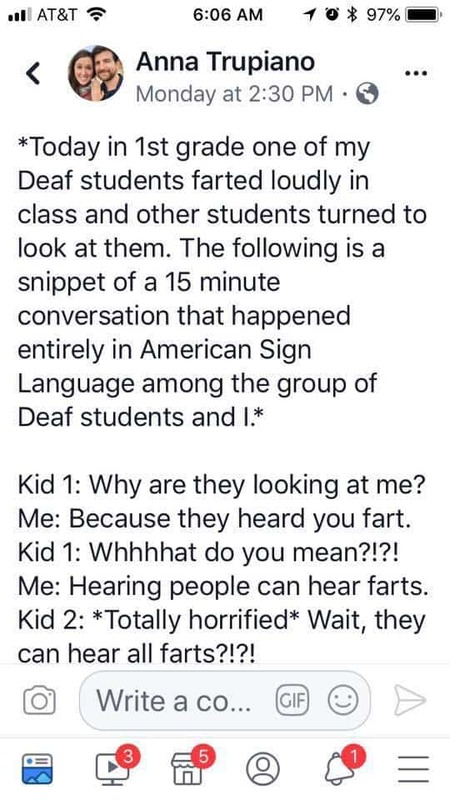 When a six-year-old boy in her class, who is deaf, farted loudly, some of his classmates started laughing. 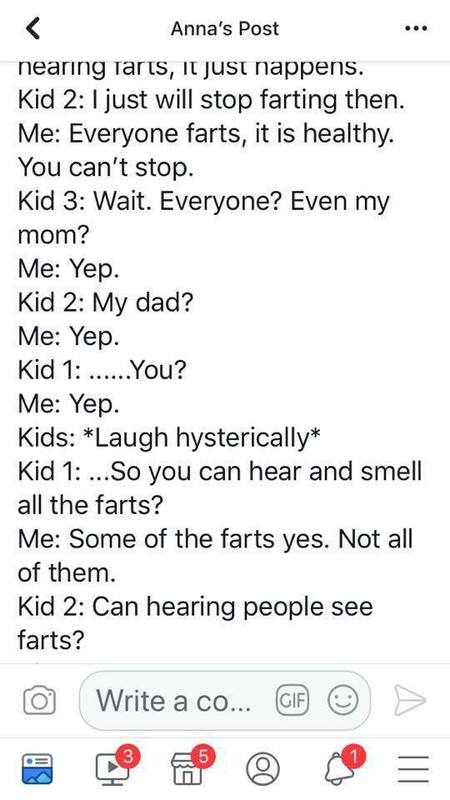 The boy was mortified by their reaction. 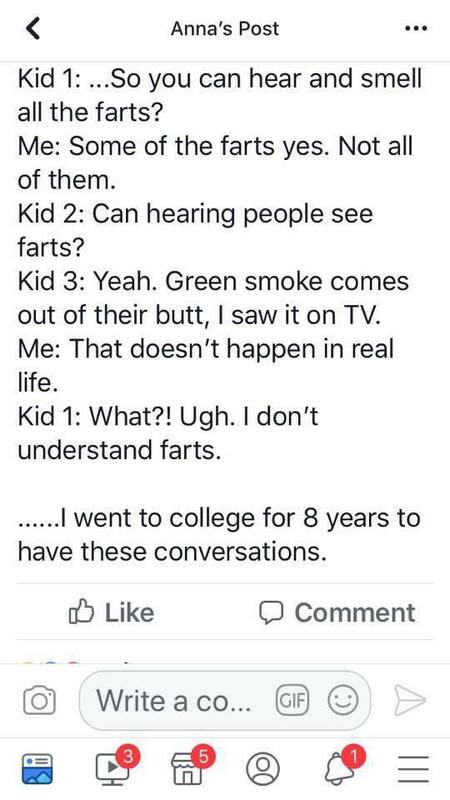 He didn’t know that farts made a sound! Oh, and the whole conversation happened in sign language! 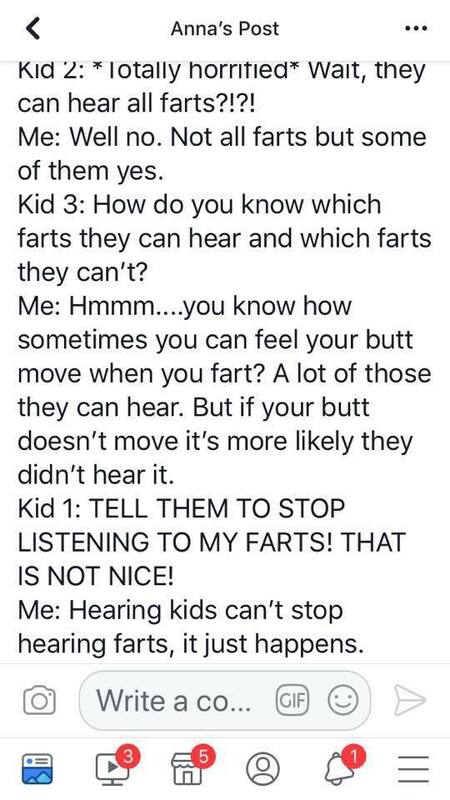 Just to clarify, everybody farts. I think that Trupiano handled the situation sensitively. The children added the touch of humor!